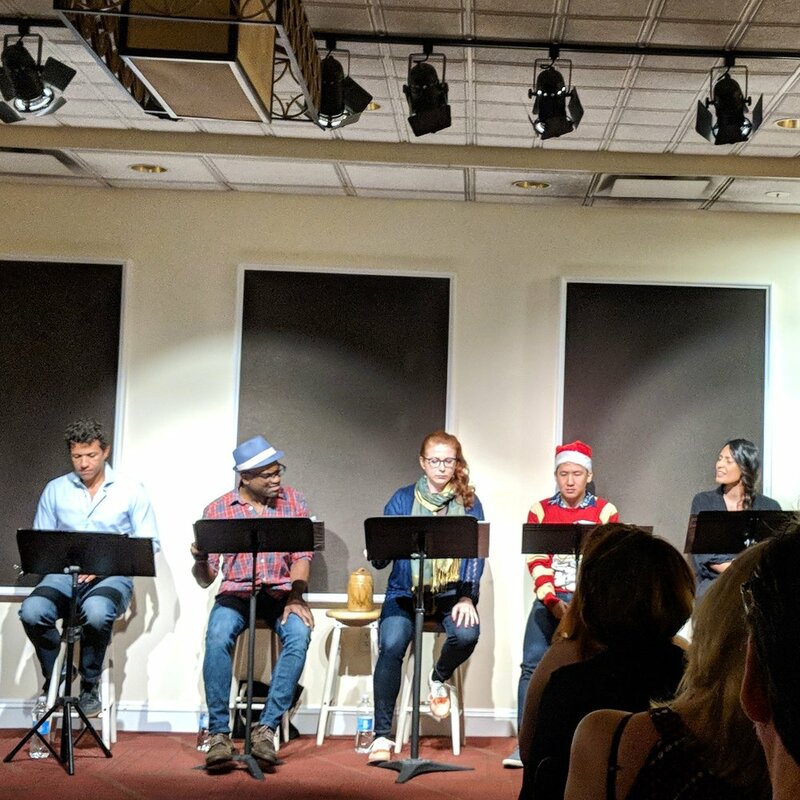 Snow Way Out had a successful reading to a capacity crowd in the Mary Rodgers Room at the Dramatists Guild on June 29th as part of the Friday Night Footlights series. The wonderful and talented Colin Miyamoto, Sarah Pesek, Jason Eno, and Maya Maniar starred. Stage directions were read by Robert Johnson, and Julian Blackmore music directed.